In 1902, Alpha Chi Omega conventioneers in Evanston, Illinois voted for the chartering of alumnae groups as full-fledged chapters which would be granted one vote at national conventions. 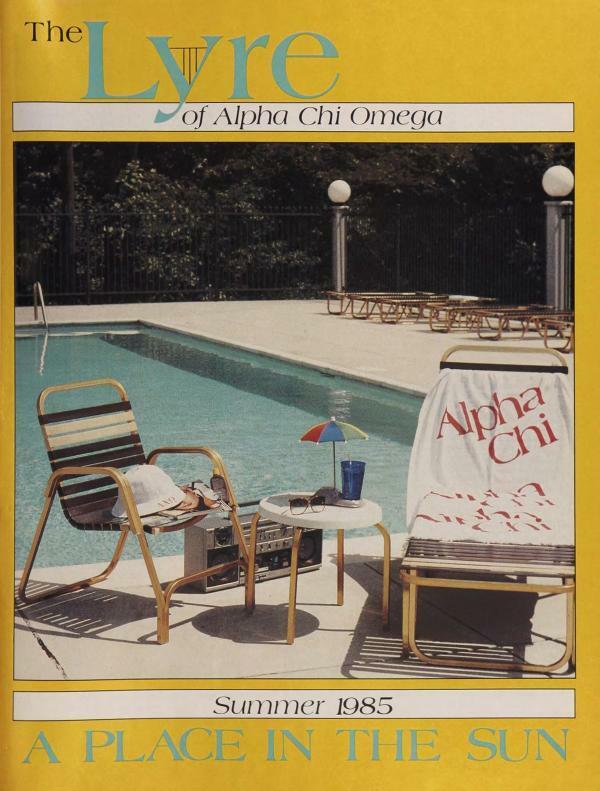 At a time when people were beginning to become more mobile, the alumnae chapters provided Alpha Chi's the opportunities to find other Alpha Chi's in their new cities and towns. Today, with more than 190,000 alumnae, and more than 200 active alumnae chapters across the United States, our alumnae chapters continue to bring Alpha Chi Omega's together. 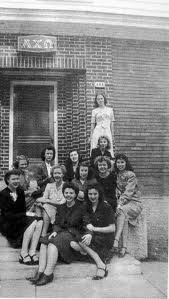 In 1944, Beta Zeta Beta Houston Alumnae Chapter was formed November 21, with eleven women representing collegiate chapters from Pennsylvania, Illinois, Indiana, Massachusetts, Oklahoma and Wisconsin bound by the sisterhood of Alpha Chi Omega. We thank our founding sisters for their devotion and love to Alpha Chi Omega and for providing us a means to continue the sisterhood in Houston. We hope you will find Beta Zeta Beta as a great way to reconnect with former classmates and meet others sisters similar to yourself. From recent college graduates to distinguished members who have enjoyed the bond of sisterhood for over 70 years in Houston; from young professionals and stay-at-home moms, to experienced business and insightful community leaders, the Houston Alumnae Chapter features a broad spectrum of members who enjoy the common bond of sisterhood. We also locally support the Gamma Upsilon and Iota Pi Collegiate chapters at University of Houston and Houston Baptist University. In April of 2015, BZB leadership conducted a survey of Houston area Alpha Chi Omegas. Topics included enjoyment of current activities, interest in new activities and rating the services offered by BZB. Many thanks to those that responded. Our response rate was about 3% which in the world of surveys is about average. In addition to this overview we will continue to share your ideas and address your questions via the newsletter. One of the survey comments was, "What do you spend the dues on?" The pie chart above gives an overview of our expenses. Your $50 gets divided into many areas. National Alpha Chi Omega dues of $12 per member and Houston Area Panhellenic Association dues of $1 per member. 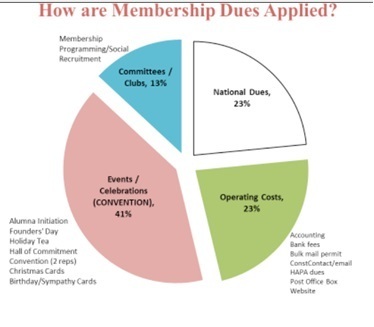 As you can see from the chart, 46% of your dues are already committed to cover BZB's operating costs (the cost to exist!). The remaining 54% goes to the social parts of BZB membership that we hope you enjoy (activities and celebrations) plus the cost of sending two representatives to National Convention every two years. If you would like any additional info, please contact our treasurer, Stephanie Miller. **The dues paying members that responded to the survey strongly agreed that they are getting good value for their membership dues. If you haven't been a dues paying member in the past, we hope you will consider it this year knowing those dues support Alpha Chi Omega and BZB's efforts to provide you with opportunities for friendship, leadership, learning and service. Click Here for more info!